Santa knows life is all about moderation. You can't eat every cookie on the planet more than once a year (I've tried). So he's really happy to support my healthy lifestyle. 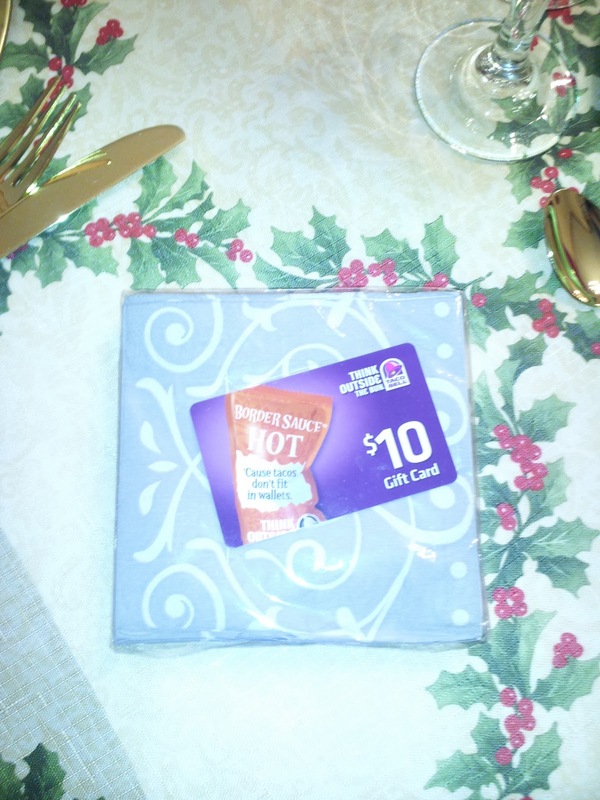 Since life is all about moderation, I kicked off Christmas with a stocking stuffed with a $10 Taco Bell gift card. 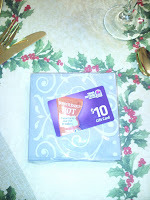 I hope I'll feel well enough to use it soon. I still feel like crap, which hopefully excuses the quality of these photos. I've continued to lose weight today, but have managed to keep down the majority of my meals today. I have never been as sick in my life as I have been in the past month. I had a killer cold, followed closely by laryngitis, and now, some type of flu/stomach bug/who knows what food poisoning. 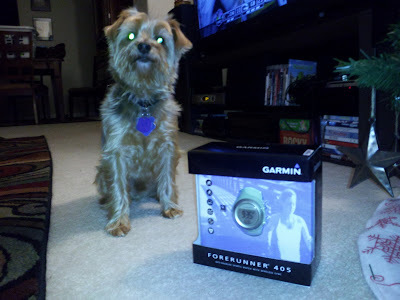 So Santa must have overlooked all those times I was crabby, because he was very generous to me today. Santa brought Tim and I his and hers Garmins. 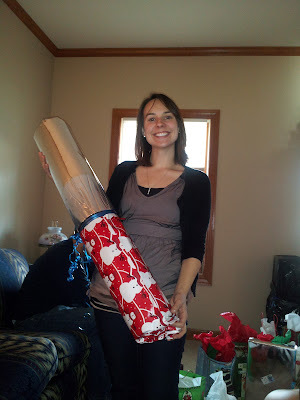 My mom also bought be a foam roller (my dad wrapped it). 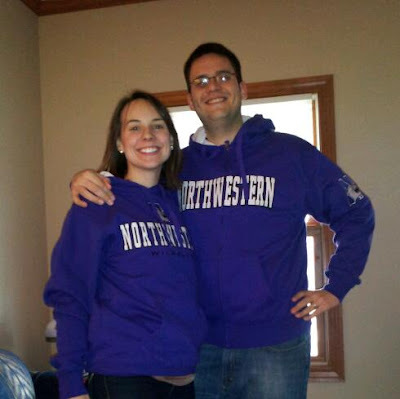 And because my parents are as proud of Tim as I am, we got matching Northwestern sweatshirts. Now we can be pretentious together! Merry Christmas, everyone. From our house to yours, I hope you had a fabulous day filled with friends, family, food, fun and less puking than I endured.